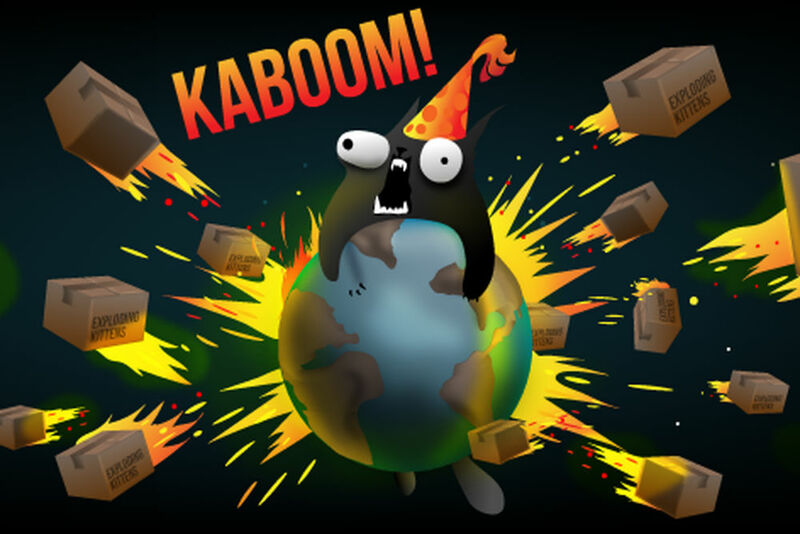 Kickstarter’s most-funded game, Exploding Kittens, is now available for download from Google Play. Priced at $1.99, Exploding Kittens is a multiplayer card game that has been redeveloped for mobile devices. On mobile, you can play online with strangers from across the world, or you can choose to play offline with friends. The game supports 2-5 players. The game is essentially a kitty version of Russian Roulette. Players draw cards until they draw an Exploding Kitten. If that is done, the player is dead and can no longer play. However, if that player has a defense card, such as a Catnip Sandwich or Laser Pointer, that player continues. All of the other cards in the deck are used to move, mitigate, or avoid the Exploding Kittens. Artwork for Kitten Explosion has been done entirely by The Oatmeal, and this digital version of the game also features expansion packs for new cards, kitties, and gameplay action. If having a blast with your friends seems like good old fashioned fun, give it a try.